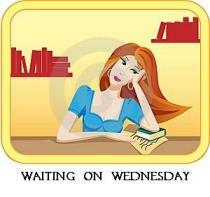 Waiting on Wednesday is hosted by Jill @ Breaking the Spine. Here are a few books I’m waiting to get my hands on. Criminal defense attorney Cobi Aiden Winslow is the son of Cyrus Winslow, the owner of Winslow Products, a popular black hair care line. Cobi believes his father is ashamed of him and hates him because he’s gay—and then his parents are killed in a car accident before Cobi can resolve things with him. The will says that Cobi and his sister (“Sissy”) will share the inheritance…with a brother they didn’t even know they had: Cobi’s twin, Eric, has been raised in foster care his entire life. The will also stipulates that Cobi only gets his share of the fortune if he marries—a woman—by his thirty-fifth birthday and stays married for two years. When the siblings are reunited, Eric freaks out when he discovers Cobi’s gay because he was molested by an older man as a child, and Sissy fears he’ll blow Cobi’s cover. As they navigate through their trials and tribulations, getting blackmailed repeatedly along the way, someone’s going to have to stand up and take a fall. But which of the brothers will rise to the occasion? I thought so too. I will be checking them out. i've heard forgotten is good! great picks! Yep, Forgotten has gotten quite a few rave reviews. It's definately on the Wishlist. I wouldn't mind having E. Lynn Harris novel and Forgotten and Hereafter. Great choices. I haven't read anything by E. Lynn Harris in so long. I wonder if I'd still enjoy his books as much as I did when I was younger. I haven't read an E Lynn Harris book in a while, but I will be reading this one soon.